Physicians use a a variety of methods to determine whether a patient is suffering from depression. So how is depression diagnosed? 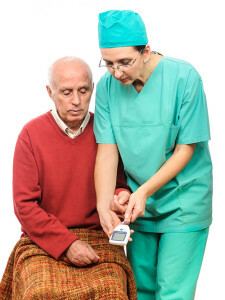 Methods range from screenings and physical exams to studies to blood tests and even sleep studies. How is depression diagnosed? The answer isn't cut-and-dried; a wide range of tests are available to determine what your symptoms mean. The process starts with a doctor or mental health professional giving you a comprehensive assessment to determine whether you are indeed suffering from depression. Some of the things that might happen during that assessment are described below. You doctor will first ask you to describe your symptoms in detail. He or she also may use screening questionnaires or rating scales to help clarify whether depression is at the root of your problems. Guidelines from the American Psychiatric Association recommend that people with major depressive disorder complete a rating scale—either administered by their doctor or self-reported—to assess the type, frequency, and severity of their symptoms. Using a rating scale to evaluate symptoms can help doctors and mental health professionals tailor the treatment plan specifically to you. They can also be used later on to determine whether treatment is working. Patient Health Questionnaire (PHQ 9): This self-test contains nine items that assess depression symptoms. It can help diagnose depression and then evaluate the severity to help your doctor select the most appropriate treatment and monitor your progress while you are being treated. Quick Inventory for Depressive Symptomatology Self-Report (QIDS SR): This is a 16-item self-test that is translated into multiple languages. It is used to assess a broad range of depression symptoms, and it can be used to track treatment response. Beck Depression Inventory (BDI): This classic depression self-test contains 21 questions that assess the intensity of depression. Each item includes a list of four statements that refer to one symptom of depression. Statements are listed by increasing severity. Hamilton Rating Scale for Depression (HRSD), also known as the Hamilton Depression Rating Scale (HDRS) or HAM-D: A psychologist or psychiatrist administers this 21-question scale to assess the severity of depression in people who already have been diagnosed. Each item ranks the severity of symptoms such as depressed mood, feelings of guilt, and difficulty in work and activities. Zung Self-Rating Depression Scale: The Zung scale is a 20-question assessment. The user checks off how often he or she has experienced certain symptoms, such as feeling downhearted, having crying spells, or having trouble sleeping. In addition to having a detailed interview, you may need a physical examination and diagnostic tests to rule out illnesses that cause symptoms of depression, such as a thyroid problem, stroke, central nervous system tumor, head injury, or multiple sclerosis. 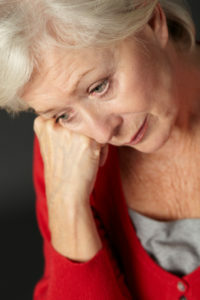 People with typical signs and symptoms of depression usually do not need to have a detailed physical work-up, but those with complex medical problems or whose symptoms do not neatly fit the diagnosis of depression (for example, they have fatigue and weight loss without sadness or loss of interest) should have a physical exam. A blood test is used to rule out a number of issues that may be be contributing to your health woes. Although blood tests can help pinpoint medical conditions, they can’t diagnose depression. However, several groups of researchers have identified promising genetic markers in the blood that may help differentiate individuals with and without depression. In addition to genetic markers, scientists have also studied other biomarkers found in the blood, such as indicators of how well the body manages inflammation, maintains neuronal health, and balances the stress response. Researchers are even working on blood tests to help determine the risk that someone with bipolar disorder will commit suicide. Imaging tests: Imaging tests such as an MRI or computed tomography (CT) scan of the brain may be ordered to rule out tumors, bleeding, or neurological disorders, such as multiple sclerosis. Imaging tests also may include a carotid ultrasound to check for blocked arteries in the neck that supply blood to the brain. Most people with depression symptoms do not require brain-imaging tests. These will only be ordered if your doctor suspects the symptoms have an underlying neurological cause. Neuropsychological testing: Neuropsychological testing may help to diagnose cognitive and memory complaints. They may also be used if attention deficit/hyperactivity disorder (ADHD) or certain other mental health conditions that have a neurological basis are believed to play a role in your symptoms. Sleep study: A polysomnography, or sleep study, may help uncover reasons for interrupted sleep or unusual daytime drowsiness, such as obstructive sleep apnea, restless leg syndrome, or narcolepsy. These conditions may contribute to or mimic the symptoms of depression. Medication or drug testing: Tests may be ordered to check blood levels of certain medications, or to look for drugs and other substances that may cause or worsen depression symptoms. Testing for infections: Your doctor may order tests to check for certain types of infections that can affect brain function and behavior, such as HIV, syphilis, or Lyme disease. Once you’re diagnosed with depression, the next step is to get treatment. Even mild depression is unlikely to go away if you ignore it, and it may well worsen over time. Untreated depression often leads to greater problems in your life and can take a major toll on your physical health. adhd, apnea, b12, bdi, bipolar disorder, blood sugar, brain, calcium, center for epidemiologic studies depression scale, central nervous system, depressed, depression, depression medication, depression symptoms, depressive disorder, ecg, erythrocyte sedimentation rate, folate, for depression, glucose, glucose levels, hamilton rating scale for depression, having trouble sleeping, head injury, health, heart problems, hormone, inflammation, interrupted sleep, iron, kidney function, lyme disease, major depressive disorder, medical conditions, medical problems, memory, mental health, mild depression, mood, multiple sclerosis, narcolepsy, people with depression, phq 9, polysomnography, qids sr, report, restless leg syndrome, seizure, signs and symptoms of depression, sleep, sleep apnea, sleep study, stress, stroke, suffering from depression, sugar, symptoms of depression, thyroid, thyroid hormone, trouble sleeping, tumor, vitamin, vitamin d, vitamins, zung self rating depression scale. I thought you might be interested in this article on https://universityhealthnews.com: How Is Depression Diagnosed?